Summary: Pricing of your products and services is not a matter of simple arithmetic. It is essentially your encrypted business signature. This course emphasizes why pricing is a critical component of freelancers and agency owners business success. Taking live examples, the course provides guidance on how to make sustainable, forward looking and growth-focused pricing decisions. Price generally has an association of a number, an arithmetical entity. But in an open, fragmented, un-regulated and very competitive market like translation, pricing is the key for business success - both short and long term. Pricing is equally important for both freelance translators and agencies and needs to be considered while buying and selling translation products. The art and science of pricing should be considered when engaged in selling [ freelancer ] and buying [ agency ] and then selling upstream [ upstream agency to end customer ]. The video delves into many areas of business that are compressed and encrypted into a shorthand dialog "price". Topics include: competition, value-addition, investment, quality and perception of quality, self-image and perception of it. * 1. 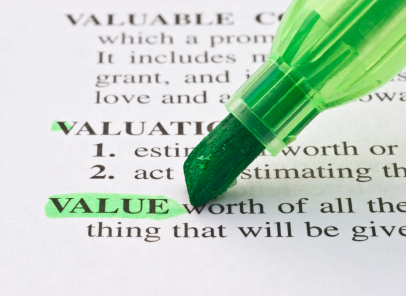 What is your self-valuation ? * 2. How aware are you of market forces ? * 3. How sensitive are you regarding competition ? * How agencies look at pricing data ? * How to quote a price for a typical project ? Price is NOT a piece of price-tag alone. It is an encrypted shorthand of many core aspects about you and your business communicated by you to the marketplace. "Pricing of your products and services is not simple arithmetic. It is essentially an encrypted business signature of yours" says Pritam Bhattacharyya creator of the presentation "The Art Science and Commerce of Pricing your translation related products and services"
The video goes into deep areas of business that are compressed and encrypted into a shorthand called Price. These areas are Competition, Value-Addition, Investment, Quality and Perception of quality, Self-image and perception of it. Taking live examples, the presentation provides guidelines to make sustainable, forward looking and growth-focused pricing decisions. I appreciate your bringing mistakes in site content to my attention. I'd like to ask that we keep our comments in this thread limited to the session itself. Any feedback on site texts can be submitted via the ProZ.com support center. "Little practical information, doesn't really live up to expectation raised by course description. So..." Read moreme good advice though from an experienced colleague, who obviously knows the business. " "The content was too general, the presentation was too long, a lot of improvising; the trainer skippe..." Read mored one or two slides (I don't know if intentionally). Sometimes it was difficult to follow which point of the presentation was being discussed at the particular moment. I would appreciate more examples. Generally, there was some useful information, but I need to do a lot of additional research to find out about what I had expected to learn from the presentation." "I found the content to be vague and somewhat superficial. Not as much specific advice as I had hoped..." Read more for after reading the course description."